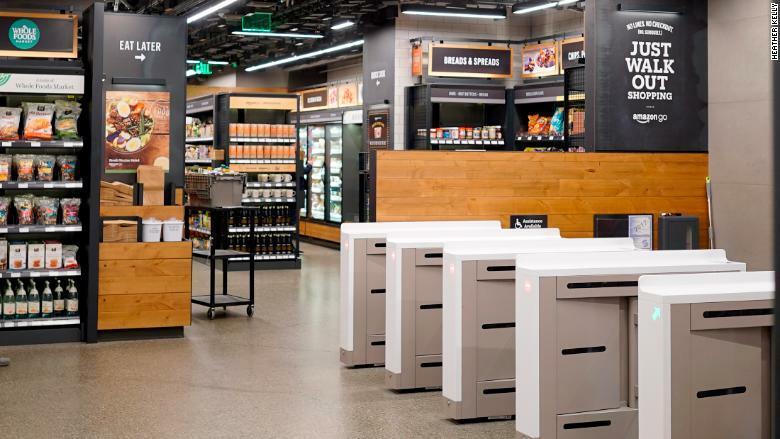 Currently there is only one Amazon Go store: a small space located in the base of one of its Seattle skyscrapers that opened to the public in January. The store uses a collection of cameras and sensors to constantly track customers and inventory as they move around. 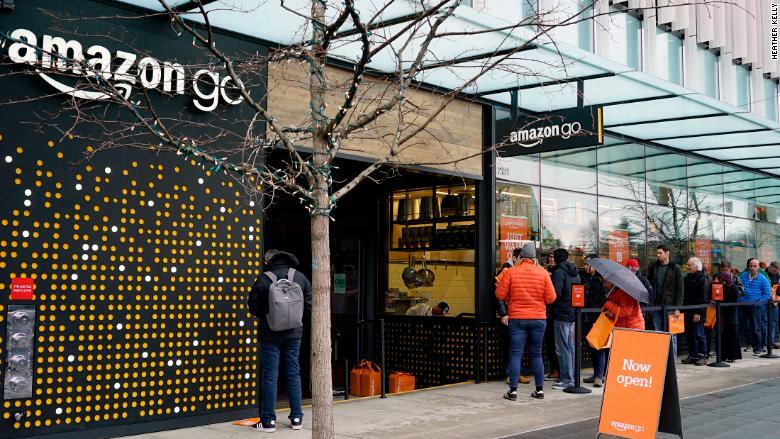 Shoppers need to open the Amazon Go app to enter, and any products they take from the store are automatically charged to their account when they leave. There are no cashiers but there are plenty of human employees restocking shelves, checking ID for wines, and working security. Amazon is already in the grocery business. In addition to its own selection of food available for purchase online and the Amazon Fresh grocery delivery service, Amazon owns Whole Foods. It bought the upscale chain in June 2017 for $13.7 billion. While the Amazon Go store in Seattle doesn't bear Whole Foods' branding, it does stock plenty of the store's signature 365 brand products.